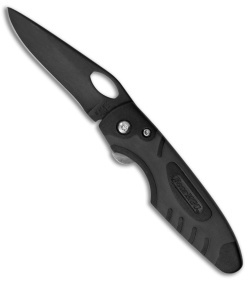 The Sideliner is a heavy duty liner lock knife built for everyday carry. It has a 2.6" black finished blade made from stainless steel with thumb slot opener. Ball bearing action provides rapid blade deployment. Item includes a stainless steel pocket clip.